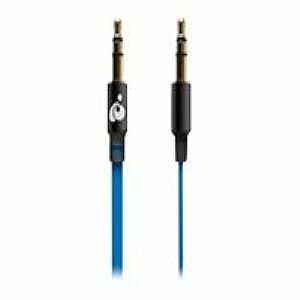 The IOGEAR 3.5mm Stereo Aux Cable makes it easy to connect your mobile device to your car stereo, home stereo, portable speakers, sound card or other device with a 3.5mm (1/8") audio jack. The premium flat cable design helps avoid the tangled messes that traditional round cables frequently become. The connector housings are constructed from aluminum to be stronger and lighter than standard cables, and at only 6mm diameter (same size as earbuds included with the iPod /iPhone) they fit the headphone opening of any mobile device case. The tangle-free 4' cable length is long enough to reach your car's auxiliary audio input, without leaving excess cable in your way. The contacts are gold-plated for superior connectivity to provide the ultimate in sound quality.